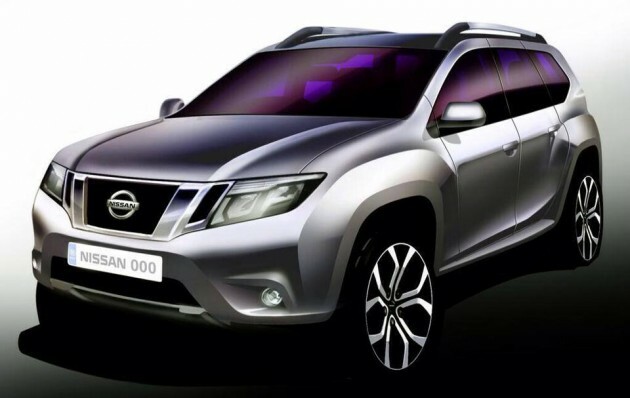 The Nissan Terrano name is to be revived, and the new SUV will be based on the Dacia Duster, Autocar India reports. Dacia is the Romanian brand owned by Renault, and is famous for the low cost pioneer Dacia Logan. The Duster 4X4 is called Renault Duster in India. Those who have better memory might remember the Nissan Terrano being officially available in Malaysia by Tan Chong, back in the 90s. The first-gen WD21 series Terrano had a brick-like shape and three letterbox vents above the grille, which was rather distinctive. The rugged 4X4 sat on a truck-derived ladder frame chassis. To be launched by the end of this year in India, the Terrano will have more differentiation compared to the Nissan Almera–Renault Scala rebadge arrangement, bringing it in line with Nissan’s SUV range. The Indian edition of the UK mag adds that the Nissan Terrano will be priced higher than the Renault Duster by a few thousand ringgit, an arrangement that’s the opposite of the Almera-Scala situation. A cheap and hardy modern Nissan Terrano 4X4 anyone? Better bring in the pathfinder instead. Also the Logan to take on the Toyota rush . Terrano looks weird man…. what about the Nissan GTR35, Fairlady 370z and Silvia S15? Are you sure only uncles and aunties buy nissan?? ?then how come i still see young peoples driving them??? jimmy..are u sure?I am driving their murano 2011 ..lol..which I think market target are not uncle/aunt. A honest and cheap SUV. Not too bad. It also looks quite good in the flesh. I doubt it will be cheap in Malaysia. considering the engine size of at least 2000cc, high taxation. in comparison, pickup truck e.g hilux, triton, ranger are having extreme low taxation in Malaysia, else it would be around RM140k price range. Next Post: Merc C-Class SportCoupe to crash 3GT’s party too?